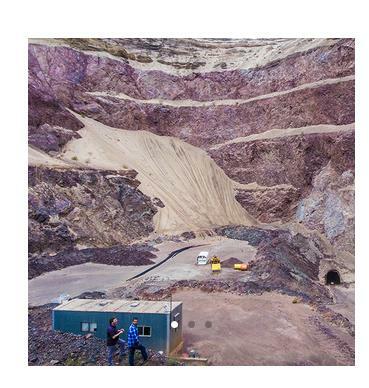 We are just a few Days away from Thanksgiving, before we get nice and stuffed with Turkey and those tasty side dishes, let us Sink our Teeth into this Fully Reporting OTCQB company who is in the Gold Mining Sector. Get This Lock and Loaded Onto You Trading Screen Before We See this Mega Potential Trade Rise Up. Kerr Mines is a North American gold development and exploration company currently advancing the fully permitted past-producing Copperstone Mine project. Copperstone is a high-grade gold project located along the Walker Lane mineral belt in mining-friendly Arizona. The project demonstrates significant upside exploration potential within a 12,000 acre land package. The Company's current focus is on maximizing Copperstone's potential by defining and expanding current resources and strengthening the mine's economics leading to a production decision. KERMF announces positive metallurgical test work & examines copper as additional revenue source. In this mine 90pct of the time Gold is present copper follows right behind. Now they have a mine that has a high value of Gold output, plus now they are going to start a new Revenue Stream with Copper which is a very expensive mineral. Now Lets Supersize things here, KERMF also just announced a 5,000,000 dllr private placement. So you have big investors Dropping big numbers into this company, they definitely know something is of High Value in this Gold / Copper Producer. Mr. Tamimi was a 50% partner of Worley Parsons Arabia, which undertook major infrastructure projects in the oil & gas, energy and a mining project worth over $5 billion in Saudi Arabia. Mr. Ciavarella is a private business owner with over 25 years experience in the Construction, Real Estate and Manufacturing Industry. He is currently President of his Forte Group of Companies, a Custom Store Fixture Manufacturer and Chief Financial Officer of the Aqua Tech Group, his construction operations. Mr. Kostuik (B.Sc., MBA) is a mining engineer and senior executive with 25 years of diversified experience in the mining industry.